When it comes to apparel printing, screen printing is the industry standard for superior quality. Most graphic tees sold in major retail stores have been screen printed. The process is designed to make garments bold in appearance yet cost effective at the same time. Your screen printed design can be as simple or as complex as you like and the designers at Midwest Impressions can help! Machine embroidery is the practice of using a specialty embroidery machine to create freeform stitch patterns or personal designs onto various surfaces. These designs are digitized computer files that are read by the embroidery machine and then sewn-out onto the desired surface. The result is a long-lasting, high quality, product that will stand out and get noticed! 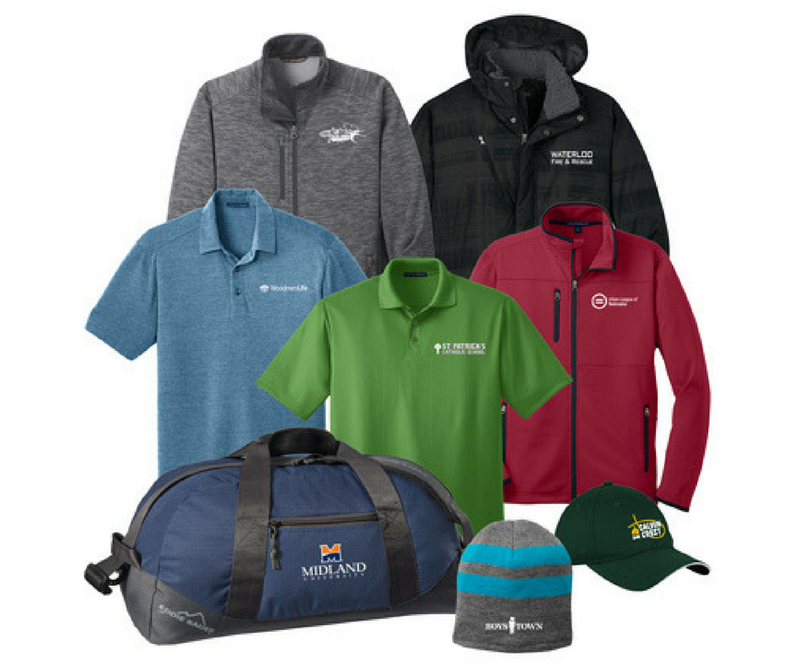 Promotional items are a fantastic way to boost brand awareness as well as show your clients and customers that you are grateful for their business. It is important to take into consideration many key details before just purchasing your "SWAG" or promotional goods. Knowing which items will be appreciated and useful to your target market is vital. We can help! Midwest Impressions has Graphic Designers onsite that have the experience, knowledge and skill to ensure that your designs stand out and "speak" the message that you are trying to convey! Of course, we are happy to create standard logo apparel and promotional items but we are always happy to watch our designers "show off" and show their design expertise! Ready to get artwork started? Simply choose whether you'd like to Do-It-Yourself Design Studio or take advantage of our expert design team by clicking a button below!